•PREMIER LEAGUE PASS: Stream exclusive Premier League matches plus access a full suite of Premier League shows. •CYCLING PASS: Watch every stage of Tour de France, Vuelta a España, Amgen Tour of California and more. Plus, one day Classics Paris-Roubaix and Liège–Bastogne–Liège. 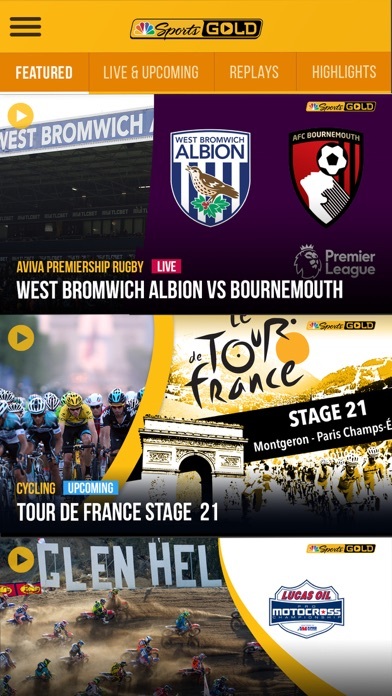 •RUGBY PASS: Entire NatWest 6 Nations Championship, every match of every round of Premiership Rugby, plus select matches from World Rugby tournaments. 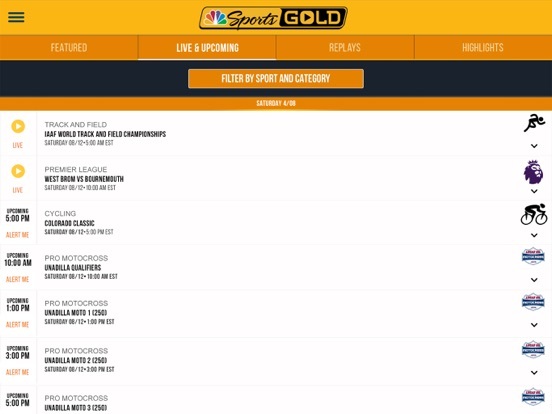 •TRACK and FIELD PASS: Access USA Track & Field Championships, complete Diamond League coverage, marathons and more. 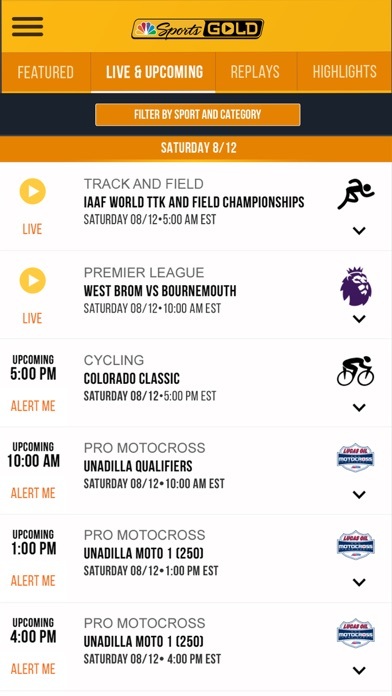 •PRO MOTOCROSS PASS: The entire Lucas Oil Pro Motocross Championship Season and archived races from previous seasons. •BLAZERS PASS: Stream select Blazers matchups. Plus, get closer to your team with exclusive Blazers swag and VIP opportunities. Available to fans located in Blazers Territory, pursuant to NBA rules & agreements. 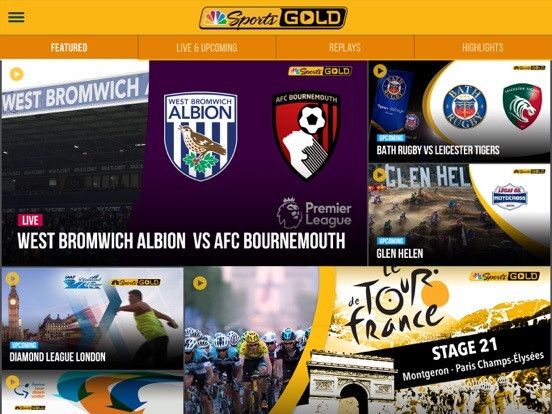 NBC Sports Gold Premier League Pass, Cycling Pass, Rugby Pass, and Track and Field Pass are only accessible in the USA. The Pro Motocross Pass is accessible in the USA, Austria, Canada, Denmark, Germany, Ireland, Italy, Japan, Luxembourg, Netherlands, Spain, Sweden, Switzerland and the UK. The application requires a 3G, 4G, LTE or WiFi network data connection. Watching video over a 3G or 4G connection may affect your wireless data plan. Data charges may apply. iPads that support Retina display can experience HD quality video at up to 1080p. The video quality will adapt based on your data connection.